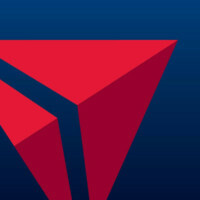 An expression among Southerners, quoted in a 1980 Time magazine article, says: “When you die, whether you go to heaven or hell, you have to change planes in Atlanta.” Atlanta’s airport ranks as the world’s busiest by the number of annual passengers and it is the primary hub for hometown Delta Air Lines, which accounts for about 80% of passengers using the airport. Downtown Atlanta is 11 miles north of the airport, or about 20 minutes driving time. Atlanta airport has a domestic terminal and an international terminal that are about a mile apart from each other. Between the two terminals – and connected by the airport’s Plane Train automated underground people mover system – are six concourses containing the A-F gates. Additionally, the T gates are part of the domestic terminal. International flights arrive and depart at the F gates. Delta Air Lines flights arrive and depart at gates on every concourse. Connecting passengers can use a pedestrian mall with moving walkways or the Plane Train to travel between gates without exiting the TSA secure area. Passengers arriving on international flights who did not pre-clear U.S. Customs at their departure airport, must exit the TSA secure area after reclaiming bags and be re-screened but then can use the Plane Train to go directly to a connecting gate. Arriving international passengers who need to check-in at the airline’s ticket counter should use the Terminal Connector Shuttle outside the secure area on the arrivals level of the International Terminal to go directly to the Domestic Terminal, then go through the TSA checkpoint there. Delta’s check-in counters and baggage claim are in Terminal South. Literally rising from the ashes of the Civil War, Atlanta today is the epitome of the new South. With fine dining, shopping and a rich history combined with inspiration-inducing attractions, the area is a combination of Southern charm mixed with world-class sophistication. The Atlanta Convention & Visitors Bureau has information here.